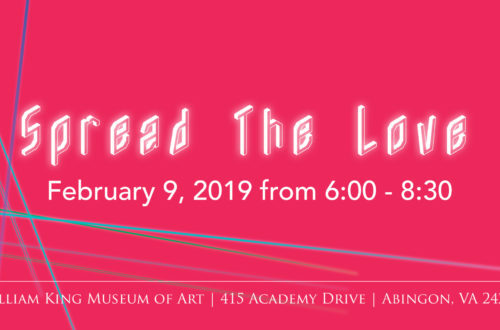 Enjoy champagne and chocolates with a curator-led gallery tour at 6:00 p.m. At 6:30 p.m. join WKMA Education staff for an instructional 80s inspired Sip and Paint. Take your painting home as a memento or gift it to your Valentine! Cost is $25 per person or $40 per couple. Call Lori Rouse to reserve your spot: (276) 628-5005 ext. 114.